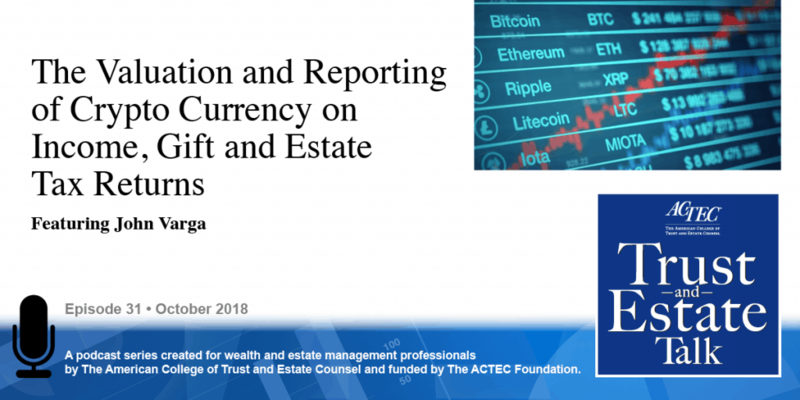 The Valuation and Reporting of Cryptocurrency on Income, Gift, and Estate Tax Returns, that’s the subject of today’s ACTEC Trust and Estate Talk. This is Susan Snyder, ACTEC Fellow from Chicago. Everyone has heard of cryptocurrencies such as Bitcoin and others, what if your client wants to gift cryptocurrency during life or dies owning cryptocurrency? How do you value this new type of asset? To answer these questions you’ll be hearing today from John Varga of MPI Business Valuation and Advisory of New York City. Welcome John. So, are you going to talk today about types of cryptocurrency valuations? I think that everyone would be interested in that. We’re seeing a lot of activity in the cryptocurrency market on a few different fronts, I think the biggest volume of business we’re seeing is in charitable gifting and in direct contributions of cryptocurrencies like Bitcoin and Etherum and Litecoin and some others. We’re actually seeing a lot of that with Fidelity Charitable in fact. To a lesser extent we’re seeing cryptocurrencies pop up in other more traditional parts of our business valuation practice so to the extent that we’re running valuations of securities holding FLP, for example. We’re seeing some cryptocurrency balances pop up in there so we have to be sensitive to pricing just as we would be with a securities FLP. We’re seeing some private equity funds that are in cryptocurrency positions, so, coming back to the pricing and the volatility of cryptocurrencies over the last couple of years, looking at capital account statements that are actually as of a particular date become very important. Looking at some more exotic things we’re seeing something known as a Simple Agreement for Future Tokens, or a SAFT, and I describe that as an SEC friendly way to conduct the so-called initial coin offerings because investors are now entering into agreements with companies to purchase the coins as opposed to simply entering into direct transactions to purchase these digitized tokens or coins or whatever you want to call them. And we’re also working with some entrepreneurs that are developing some of the underlying technologies, exchanges, and other things that are riding on top of all this block chain technology, so, some very smart folks are getting involved we’re helping them out with their estate and gift tax planning. 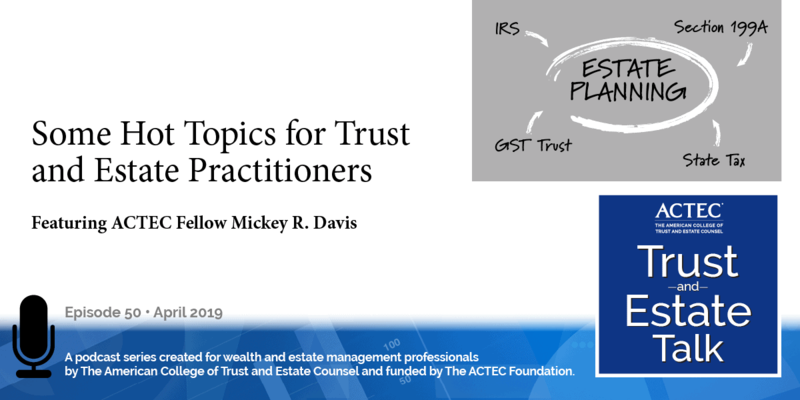 So, you mentioned the SEC but, for tax planning, everyone thinks about the IRS, is this really the wild west out there or has there been any guidance from the IRS on this? There’s been a little bit. 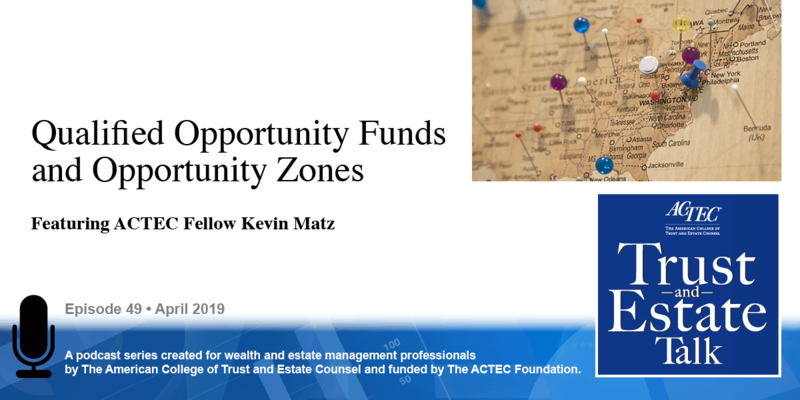 So, some of the traditional framework is still in place, you’re still going to look at guidance for appraisal requirements for non-cash charitable contributions, record keeping requirements for deduction of charitable contributions, IRS Publication 561 determining the value of donated property. But zooming in on cryptocurrencies, the IRS put out a Notice 2014-21, which is called IRS virtual currency guidance. So that forms the basis of the framework that we’re really looking at. So, can you give a little more detail on what IRS Notice 2014-21 deals with? Does it have any guidance on an appraisal or getting a qualified appraisal? You’re still required to get a qualified appraisal. One question that comes up in a lot of conversations is, you know, how come I can simply donate marketable securities and the charity, or Fidelity Charitable in some cases, they have a plan in place for marketing those securities to market, so why can’t I go online and say here’s the price from Coinbase or Google or whatever. And the answer really shortly is you can pick 5 different prices and could see a swing of a couple thousand dollars so I would say on that basis we’re still in the wild west in terms of how to actually mark something specifically for gifting. Academically you can look at prices all around the world but we have requirements in the US as a nation of laws. So what is the standard of value for these currencies? Well, we’re going to look at fair market value and so we would take a look at guidance from Section 25-12, essentially it’s the hypothetical willing buyer and hypothetical willing seller, entering into an arm’s length transaction and both parties having reasonable knowledge of all relevant facts, so, that stays the same. And then really, when we’re dealing with cryptocurrencies we then have to take a look at IRS Notice 2014-21 to see how we should be reporting it and they give us a little bit of guidance. So, obviously you have to express your transactions in US dollars still. The IRS would say if the virtual currency- and Bitcoin counts as virtual currency, of course- if there were exchanges out and those exchanges have active markets and establishing a good supply and good demand. Take a look at those exchanges and come up with the exchange rate and convert them into US dollars. So, could you provide some details on how you prepare an appraisal for cryptocurrencies? Sure. 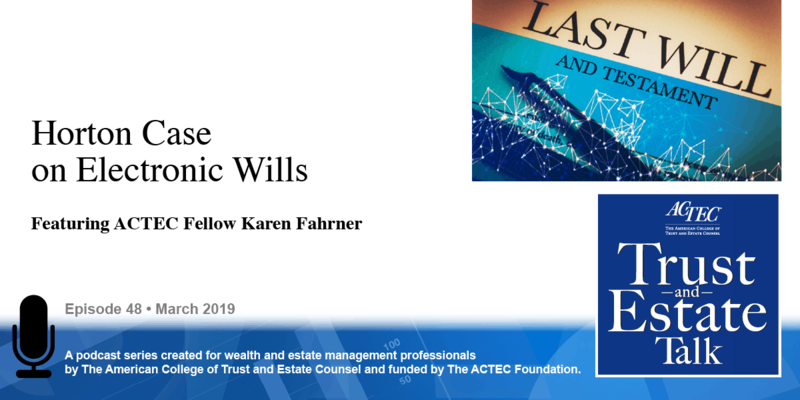 So, in any appraisal you know you have the three classic valuation approaches- the income approach deals with capital earnings of discounted cash flows, the asset approach is something more relegated to more traditional securities and real estate. I would say, as an appraiser, cryptocurrency valuations probably fall under the market approach. And, to borrow some terminology from the financial reporting world, I would say, we’re looking at essentially level 1 assets coming in that terminology from FASB Statement 157. So we take a look at a couple of different things, we pull in pricing sources coming from some major US exchanges, we take a look at pricing from leading exchanges- like Coinbase, Gemini, and Kraken- and we also look at indices as well. There’s a little academic debate there, we like to put a lot of reliance on the global Bitcoin price index, published by a company call Blockchain Data Limited, it’s a volume weighted average pricing index for Bitcoin and it’s also called the GBX for short. There’s also the GEX, which is a similar volume weighted average pricing index for Etherum, which is another cryptocurrency that’s out there. We also take a look at Coindesk, a very popular new site for cryptocurrencies. They have an index called the Bitcoin Price Index by Coindesk, it goes by XBP. That’s a straight average and I have some academic difficulties with using a straight average versus a weighted average and, you know, a lot of valuation analysts and financial institutions have a Bloomberg terminal of course, so we look at pricing on the Bloomberg terminal. Bloomberg sources their data from Bitstamp, Coinbase, itBit- it’s a cute name- and Kraken as well. So, what we do is we pull in if the Bitcoin average price index, the GBX, they give you one fixed data point as of a certain date. When we take a look at Coindesk, Gemini, Kraken, and Bloomberg and some others they give you a high and a low so we can look at the average of the high and the low. Depending upon your pricing date, I’ve mentioned before, you’re going to see some pretty wild swings in data pricing. To give you one example we did some work for quite a few clients at the end of 2017, for example, and I can tell you we were looking at the Bitcoin prices ranging anywhere from about $14,500 to about $15,500, so- I said this before- this is not something you’d accept when you’re trying to price out marketable securities. So we look at an average of all those different indicators at the end of the day. So it sounds really like MPI is on the cutting edge of these types of valuations but what are your challenges that you’re finding in doing this? You still having pricing valuations, you know Bitcoin started out at zero, literally, back in 2009. It was trading for pennies and when I first became aware of it- it was trading around $6 and I unfortunately did not make any investments at that point. So we’ve seen a high of just under $20,000 at the end of 2017 so we can’t really separate a flash crash and spikes in prices from a new norm or a new plateau, that’s not really something that we’re able to do for something that’s really growing. You know, there’s no legal concept of insider trading and you know insider trading is a defined term form the SEC. You know Bitcoin, the SEC, and the IRS both agree, it’s not a security, it’s property, it’s an asset that’s out there. So there’s no concept of, you know, someone really trying to get ahead of someone else through insider data because there’s no framework to really establish that. That leads the way towards a market manipulation of some exchanges. There was a variant of Bitcoin called Bcash, that was forked from Bitcoin back in August from some individuals. And Coinbase, one of the leading exchanges, had an issue where their employees were aware of Bcash coming on board, coming onto the base platform ahead of the public as you would expect. So you start to see a run up in pricing Coinbase finally released Bcash on their platform, the price skyrocketed to $4,000 or $8,000 depending on the time of day you were looking at, their website was crashed, their website was down, inaccessible. And now that that particular variation of Bitcoin is, you know, quite a bit less than $1,000, so there’s an insider trading lawsuit against Coinbase now because their employees were engaging in some form of manipulation. Luckily there’s a company behind that so there’s actually somebody you can go to in the courts. Not so much a challenge but some things you have to keep in mind just on a very basic level, if you’re actually engaged in mining and not exchanging, when you’re mining Bitcoin or Etherum through a homemade computing rig, for example, when you’re generating those coins through that reward process you’re taxed at ordinary income rates, so you have to keep track of that. Simultaneously, you’re also establishing your cost basis, and so in the US- you know we tax transactions, not wealth- so, when you go to sell your Bitcoin or your Etherum or your Litecoin or your Deutsche Coin at some point, you’re creating a capital gain at that point. So that’s price strike when you mined it, that’s your cost basis, your gain is whatever your gain is when you go to sell it. 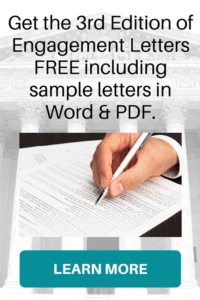 The other challenge, and this is more for the legal crowd out there of course, not the humble appraiser but if you have cryptocurrencies that are in an estate and the private key is lost, whether it was something that was memorized, a so-called brain wallet or a piece of paper that’s gone missing with a private key and your 12 secret words, is there any value there? And I’ll put that out to the legal community. That’s very interesting, thank you for educating us on cryptocurrency and the valuation challenge.